When it comes to CVs and cover letters, one size does not fit all. In today’s competitive job market, job seekers need to be able to tailor a CV and cover letter for the particular industries or jobs they’re targeting. If your CV and cover letter directly address the job’s requirements and showcase how well you can meet them, your chances of getting an interview invite increase dramatically. Here’s how to tailor your CV and cover letter for a particular job or industry. If you’re trying to land a job in an industry you’ve never worked in before, don’t make the mistake of assuming your previous work experience counts against you. Look at your employment history and think about the activities you performed in each past job that helped you develop skills relevant to the job you’re targeting. If you want to work in sales, for example, and you’ve previously managed a restaurant, emphasize the aspects of your restaurant management job that helped you develop your communication and people skills. If you have years of experience as an engineer and want to land a job as a technical school instructor, highlight things you’ve done in your engineering work that prove you’re a quick learner and an effective teacher. Highlight relevant activities not only in the text of your CV but also directly in your cover letter. If you’re switching industries, do as much research as you can about your targeted company and industry. If you’re switching jobs but staying in the same industry, you’ll have less research to do but you still need to learn all you can about the company you’re applying to work for. Is the industry or company growing? What are its major opportunities and challenges? What do business experts see as major industry trends in the future? What are the company’s plans for future growth? Can you find its shareholders report online? Find out all this information and make sure your cover letter communicates the fact that you’re informed about the company and industry. Any job or industry has its own set of keywords. As more and more employers turn to keyword recognition software to sort the piles of CVs and cover letters they receive, having the right words in your text helps you clear this first hurdle. Where can you find these keywords? They’re often in the text of the job ad itself. Learn them and use them in your CV and cover letter. If you can show in your CV and cover letter that you’re familiar with the basic concepts and vocabulary of the job or industry you’re trying to target, you have a much better chance of getting to the interview stage. One warning: take care not to stuff your CV and cover letter so densely with these keywords that someone outside of the industry can’t understand who you are or what you can do. Many companies share the CVs and cover letters of potential candidates with diverse hiring committees once they’ve passed an initial screening, so try to strike a balance between demonstrating your technical knowledge and making sure your application materials are easily understandable. Employers receive piles and piles of CVs. If you’re applying for a job at a large company with a dedicated human resources department, the odds are high that the person who first glances over your CV reads hundreds of job applications a month. Most employers have the experience to spot a candidate who’s trying to cover up gaps in his or her work history. If you’ve been out of work for some time, whether by choice or necessity, don’t try to cover this up. Indicate on your CV when you’ve been out of the paid workforce and what you were doing in that time. Again, try to highlight activities that are relevant to the job you’re applying for. Did you do volunteer work? Travel? Learn a new language? Raise a family? Each of those activities helps you build a number of skills that can make you a good candidate for the job you’re targeting. Don’t be vague and don’t be ashamed of the time you spent outside the paid workforce. List all your past experience and highlight the parts of it that make you a strong candidate for your targeted job or industry. Yes, it’s important to demonstrate that you have the skills for the job, know the company and industry well, and are a trustworthy candidate. However, keep in mind that chance and coincidence still play a major role in landing a job. The more you communicate about yourself and the interests, hobbies and skills you’ve developed over your working life, whether or not you think they’re related to the job you’re targeting, the greater the chances of your application making an impression on someone on the hiring committee. Do you speak Spanish? Maybe the company you’re targeting is thinking of expanding in Latin America. Are you a keen cyclist? Maybe the company just landed a big marketing contract with a bicycle manufacturer. While the bulk of your CV and cover letter should emphasise your job-related skills and experience, you should include a brief section that lists your hobbies, interests and skills. You never know if they might be unexpectedly relevant. 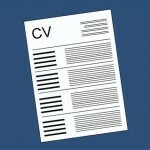 Tailoring a CV and cover letter can be a challenge. Writing the perfect CV or cover letter for a new job or industry is a bit like tailoring a suit without knowing the exact measurements of the person who wants to wear it. However, if you emphasise relevant skills you’ve developed in past jobs, do your industry and company research, keep keywords in mind, present yourself as a reliable and trustworthy candidate, and add a bit of personal flavour, you’ll greatly increase your odds of landing your dream job.